GMR Aviation, welcomes you to experience personalized luxury air travel in its fleet of modern aircraft. The fleet is rapidly growing with a range of both fixed and rotary wing aircrafts to cater to varying travel distances, passenger capacity and comfort levels. You choose the destination and we will find a way to fly you there. 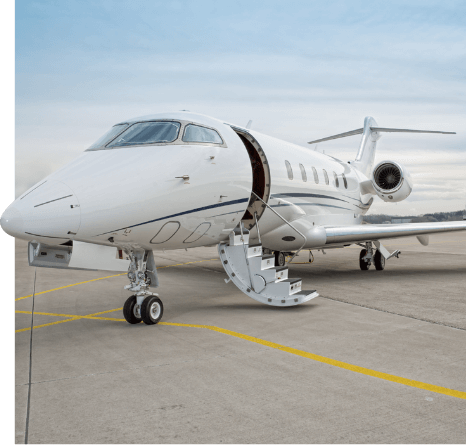 GMR Aviation was formed in 2006 to offer aircraft charter services and consultancy for business aviation. Apart from owning and managing its own fleet, GMR Aviation also manages aircrafts of other business groups. GMR Aviation is managed by proven professionals drawn from among the best in the aviation industry. Operations managed by robust processes and systems ensure highest levels of efficiency and safety. While great care is taken in recruiting the best in class people resources, equal importance is given to regular training and competence development. GMR Aviation is a subsidiary of the GMR Group, the Delhi headquartered global infrastructure major.